From the 11th to the 17th of February, Yggdrasil Gaming is hosting three interesting slot game tournaments with missions. After the closing of Yggdrasil Gaming's 'Reach the Cosmos' campaign, there is a new campaign entitled 'Carnival Missions' with a total prize pool of €60,000 ready to be won. Between Monday, the 11th to Sunday, the 17th of February 2019, game developer Yggdrasil Gaming is celebrating the Chinese New Year with a carnival. There are three festivals in which players are invited to partake as part of a fantastic world tour which starts in China, goes through Venice and ends in Rio! This promotion is split into three parts, each of which allows you to play some of Yggdrasil Gaming's best slots to take part in the promotion and position yourself on the leader board. The number of rounds played to complete a prescribed mission will determine your position on the leader board. The players in the best seats will collect a prize. The Lantern Festival will be held from the 11th to 12th of February. There is a total of €15,000 in the prize pool and the first place winner gets €3,500. In total there are €10,000, €15,000 and €35,000 in the prize pool of the tournaments. There is a total of €35,000 in the prize pool and there is also a trip for two people to Rio de Janeiro worth €10,000. 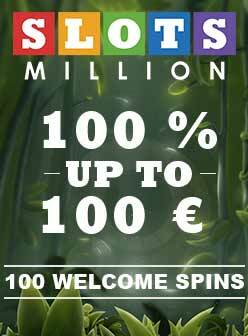 You can participate in this great promotion in the online casinos DublinBet, Lucky8 and Cresus Casino. T&C apply.